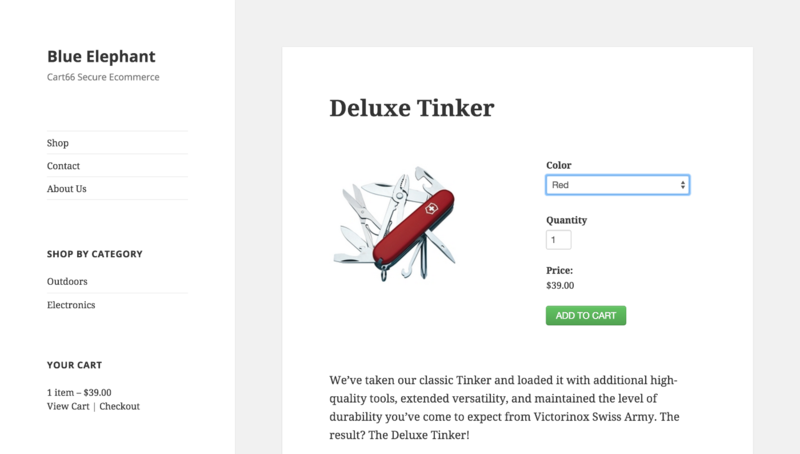 You can still design your product pages with shortcodes like you have always been able to do. 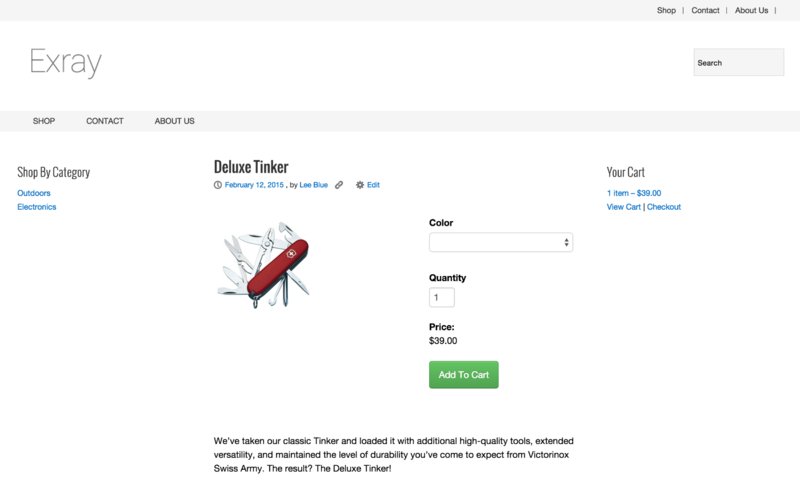 Now, as of Cart66 2.0, Cart66 also has its own custom post type for products. Included with Cart66 are several page layouts for displaying individual products as well as listing your catalog of products. If you would like to customize these layouts, you can override the default templates by creating your own template files in a /cart66 directory in your theme. In this example, we'll use the free Exray theme available in the official WordPress repository. Exray has a three column layout with sidebars on each side and the content area in the middle. 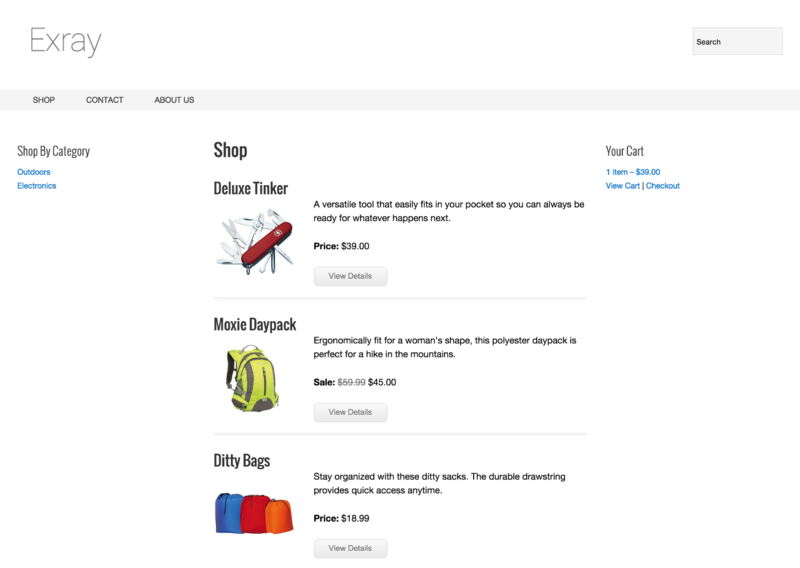 With some custom page templates, it is easy to integrate Cart66 into this layout. 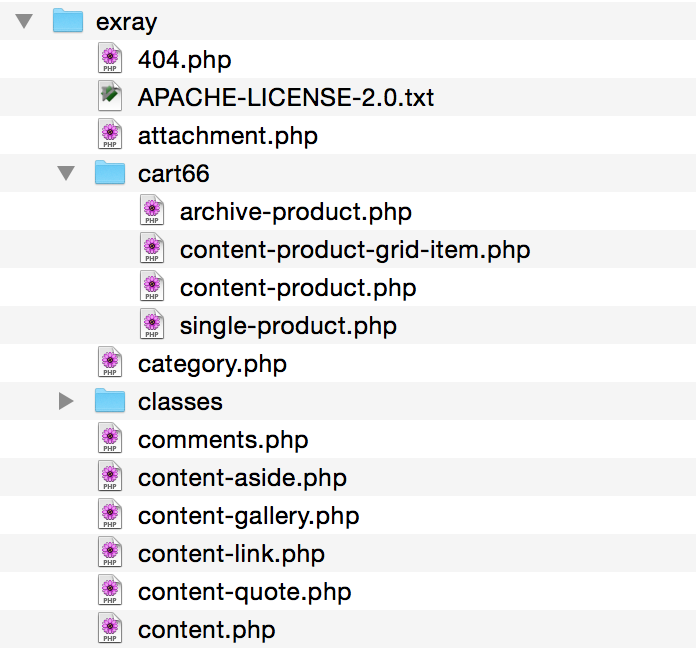 Here you can see the directory structure showing the cart66 directory holding the four template files in the Exray theme. The call to cc_page_title() pulls in the setting from the Cart66 settings for your shop name. The other significant function is cc_get_template_part() which pulls in the content-product-grid-item.php template. This function first looks to see if you provide your own template. If not, the default template is pulled in. 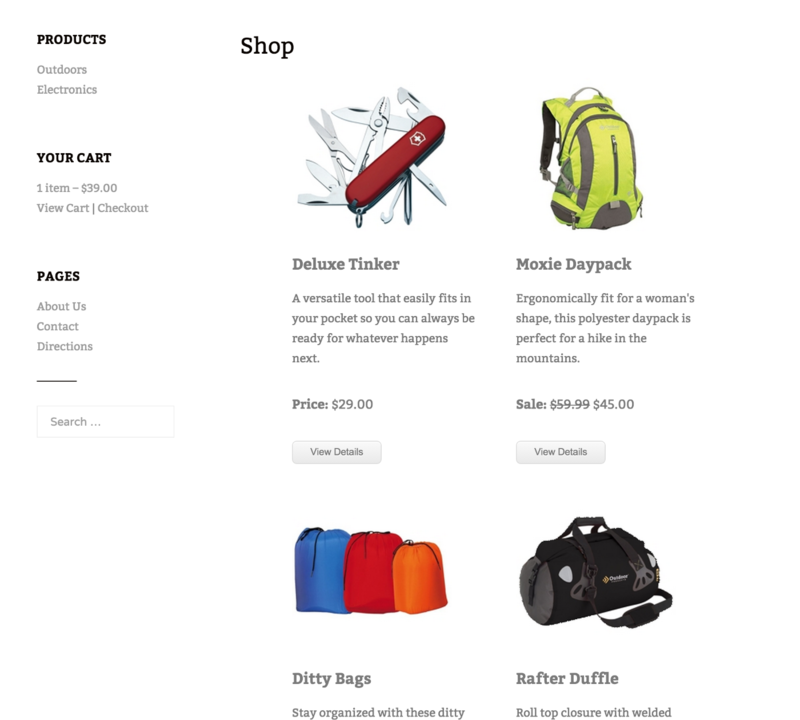 content-product-grid-item.php This is the template that defines how each individual product gets displayed in the product catalog view. You can control several of the labels such as Price, On Sale, and View Details from the Cart66 settings in your WordPress admin. The HTML markup for the layout is defined in this file. content-product.php This template defines the layout for the product information. For example, in the code below, we show the product image beside the product order form. Below all of that, we show the page content for the product. To integrate any theme with Cart66 all you have to do is provide your own Cart66 template files and place them in a /cart66 directory in the root of your theme. This allows you to define virtually any layout to display the products in your Cart66 WordPress ecommerce store. Once you have defined those four template files and placed them in a /cart66 directory in the root of your theme, you are finished integrating Cart66 cloud into you theme. If you are distributing this theme you may want to declare support for Cart66 in your theme.